Betsson – Live Casino Weeks! More excitement for Live Casino players! 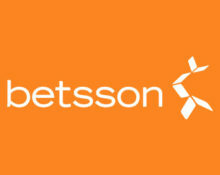 For table enthusiasts and those who want to step away from slots for a while Betsson has the right offers for both alike. Each week in February on three selected days they have an awesome promotion running just for those sitting down at the Live Casino tables. Mark Tuesday, Friday and Sunday in your calendar to make sure you do not miss them! Throughout February players can look forward to great extras when playing at the Live Casino tables. 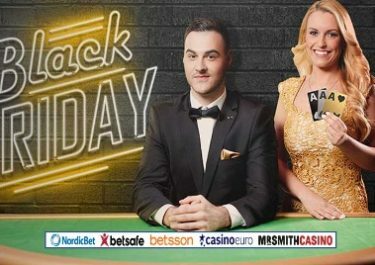 Betsson has marked three days for each week where cashback’s, deposit bonuses and races are specifically for those at the live tables. OPT-IN is required for all promotions. Terms and Conditions apply. Available on 7th, 14th, 21st and 28th February 2017, up to €200 for every day. Minimum €10 needs to be wagered in the Live Casino to qualify. The Cashback is credited as bonus the following day at 00:01 CET and needs to be wagered 10x within three days on Live Casino games only. Available on 3rd, 10th, 17th and 24th February 2017, up to €50 for every day. Minimum deposit is €10. The bonus needs to be wagered 10x within 3 days on Live Casino games only. Available on 5th, 12th, 19th and 26th February 2017 with a prize pool of €1,000 for each race. Every €10 wagered in the Live Casino will earn 10 points, TOP5 scorers for the day will share the prize money. Prizes range from €500 – €25 and are credited on Monday, by 18:00 CET as cash, no wagering requirements.